Seabourn’s fleet of intimate ships are renowned for their style, elegance and relaxed ambiance as well as fabulous but unobtrusive service. Each ship offers all-suite accommodations, providing the necessary space in which to truly relax while the open seating policy when dining only promotes the sociable atmosphere on board. The open-bar policy means that premium wines, champagne and spirits are free flowing and the menus offer a sensational level of cuisine, all created by renowned US celebrity chef, Charlie Palmer. Seabourn’s signature water sports Marina has plenty on offer for the more active while the nightly entertainment and casino provide further possibilities. With a fleet of just four ships, Seabourn offers an excellent choice of sophisticated and luxurious journeys in far-flung parts of the earth. Due to the smaller size of the fleet, Seabourn is able to offer a variety of cruises to some unusual and unique destinations. Along with unique itineraries, the ships offer very comfortable accommodations and plenty of activities, providing the opportunity to be very active or very inactive! Seabourn Odyssey, Seabourn Sojourn and Seabourn Quest offer a similar layout and architecture to one another, but cruise in difference parts of the world and the new addition to the fleet Seabourn Encore is scheduled for arrival later in 2016. 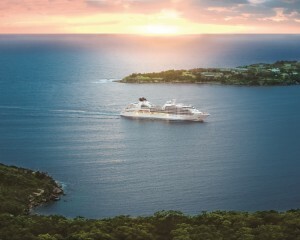 Seabourn Odyssey is the first in a new-class of ships for Seabourn that accommodates just 450 guests in 225 luxury suites. 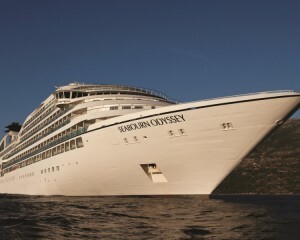 Although, at 32,000 GRT, Seabourn Odyssey is more than triple the size of Seabourn Spirit and Seabourn Legend, she was the smallest new ship being built by any major cruise line, and her guest capacity is just twice that of the smaller sisters, creating the highest space-per-guest ratio in the industry. Seabourn Odyssey was built by the Italian company T. Mariotti S.p.A., located in Genoa, Italy and named in Venice in June of 2009. On that occasion, the guests on board for the maiden voyage were all honored as the ship’s godparents, and a plaque with their names was permanently mounted on a wall inside the ship. Seabourn Odyssey was designed by the same architectural team, Petr Yran and Bjorn Storbraaten, who designed the original Seabourn ships. Seabourn Odyssey’s 229 ocean-view suites are divided into 13 categories, with interior measurements from 295 to over 1,200 square feet. 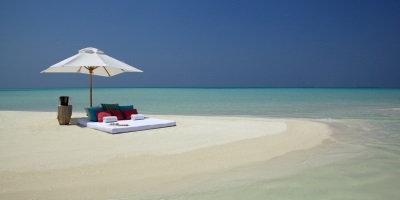 Ninety percent have private verandas, which add from 65 to over 350 square feet of additional private living space. Highlights in accommodations are the exceptional Wintergarden Suites, which have a private glassed-in Solarium with a soaking tub and a lounging bed. This suite also features a veranda that is bowed out, giving wonderful views long the side of the ship. The Signature Suites, located all the way forward on Deck 7, have over 900 square feet of inside space and a spectacular wrap-around veranda of 353 square feet. In addition to more larger suites, Seabourn Odyssey’s additional size is utilized to create more open deck space, and a variety of public rooms and dining venues.Seabourn Odyssey, Seabourn Sojourn and Seabourn Quest are virtually identical. The second of Seabourn’s new class of ships, Seabourn Sojourn, was also built at T. Mariotti yard in Genoa. Her debut was on June 6, 2010 in the middle of the River Thames in London. Seabourn Sojourn’s godmother was the English fashion icon and actress Twiggy. Like her sisters, Seabourn Sojourn enchants her guests with an array of public areas scaled to encourage a relaxed sociability. One of the most unusual features of Seabourn Sojourn and her sisters is Seabourn Square, an ingenious “living room” that replaces the traditional cruise ship lobby with a welcoming lounge filled with easy chairs, sofas and cocktail tables. An enclave in its centre houses knowledgeable concierges discreetly seated at individual desks, ready to handle all sorts of business or give advice and information. The ship’s shops are conveniently located just off the Square and it has its own open terrace. The Spa at Seabourn is the largest on any ultra-luxury ship, 11,400 square feet encompassing indoor and outdoor space over two decks. A variety of open terraces are scattered over seven decks, offering places to gather with a few friends or spend an isolated hour with a book. Seabourn Sojourn offers six whirlpools and two swimming pools, including the Pool Patio, with a pair of large whirlpool spas and a “beach” style pool, a casual Patio Grill and the Patio Bar. On the sun deck above sits Seabourn’s popular open-air Sky Bar. High atop Deck 11 is a Sun Terrace with 36 tiered double sun beds. The Retreat features shuffleboard courts and a nine-hole putting green. The panoramic Observation Bar on Deck 10 offers 270° forward views over the sea. The Club is a lively spot for dancing before and after dinner, while the larger Grand Salon is used for dancing as well as lectures, production vocal shows, cabaret performances and classical recitals.Seabourn Odyssey, Seabourn Sojourn and Seabourn Quest are virtually identical. Seabourn Quest is the third iteration of the vessel design that has been called “a game-changer for the luxury segment.” Built at the T. Mariotti shipyard in Genoa, she was named in Barcelona on June 20, 2011. True to her Seabourn bloodlines, wherever she sails around the world, Seabourn Quest carries with her a bevy of award-winning dining venues that are comparable to the finest restaurants to be found anywhere.Seabourn Quest offers a variety of dining options to suit every taste and every mood, with never an extra charge. The Restaurant is the main dining venue on board, serving multi-course breakfasts, luncheons and dinners in an open-seating style amid a refined setting of gleaming white linens, polished alabaster walls, flowing sheer draperies and glittering crystal chandeliers. Menus reflect an insistence on fresh, high-quality ingredients, masterful preparation and appealing presentations. In a signature Seabourn salute to personalization, guests are invited to order from the Restaurant menu during extended service hours, and have their meal served in the privacy of their suites or on their verandas. The Colonnade is a more casual, very popular indoor/outdoor option serving lavish station-style buffet breakfasts and lunches. Dinners in the Colonnade are regionally-themed menus prepared in the open kitchen and served at table. Restaurant 2 is an intimate setting where guests can enjoy innovative small-plates tasting menus nightly by reservation. The Patio Grill is a casual alternative offering poolside dining for luncheons and dinners, as well as freshly baked pizzas from its on-site oven all afternoon. Festive beach barbecues are frequent highlights on warm-water cruises, with lavish steak-and-seafood grills and Seabourn’s Signature Caviar in the Surf event. A comprehensive selection of delicious items from appetizers to scrumptious desserts is available for in-suite service 24 hours a day. Seabourn, have recently revealed renderings for its new signature fine-dining restaurant, The Grill by Thomas Keller, which will debut in May 2016 onboard Seabourn Quest. With a menu and ambiance inspired by the classic American chophouse, The Grill is a collaboration between three-star Michelin chef Thomas Keller and designer Adam D. Tihany, exclusively for Seabourn.Seabourn Odyssey, Seabourn Sojourn and Seabourn Quest are virtually identical. When the stunning new Seabourn Encore debuts in December 2016, she will once again re-define the industry's expectations for an ultra-luxury experience. Modelled after the award-winning trio of small ships that began with Seabourn Odyssey in 2009, this striking new vessel offers one additional deck, allowing for even more luxury suites (a total of 300), and yet another beautiful, special-occasion dining alternative. 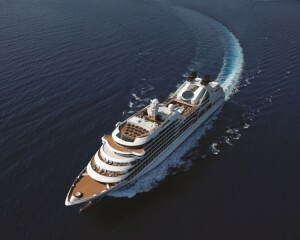 Seabourn Encore’s inaugural season will feature nine unique itineraries with 26 sailings of between 10-60 days. From Athens through to Arabia, the South Pacific, Australia & New Zealand, these stunning itineraries include overnight stays in Marquee cities such as Singapore or Sydney plus out of the way destinations that you can only enjoy with Seabourn – such as tiny Phillip Island in Australia where guests can experience the “Penguin Parade” at dusk, Sir Bani Yas Island (UAE), an exclusive bird watching paradise and many world heritage sites which offer tours that are exclusively available to Seabourn via the company’s partnership with UNESCO.The ship will return to cruise in Europe for summer 2017.